P Mangatram Jewellers has launched its signature Nysa collection, known as the lightest jewellery in the country. The collection showcased at Signature IIJS 2016 defines the concept of creating meticulous designs. The collection encompasses rings, necklace, earring, pendants and bracelets. The signature Nysa necklace is designed for delicate and fuller look with minutest detailing set in yellow gold studded with rubies. The pairing pendant features oval cut rubies and emeralds crafted in yellow gold. The gold bangles have been inspired by the subtle texture and vibrant hues crafted in 22 k gold and embellished with precious stones. 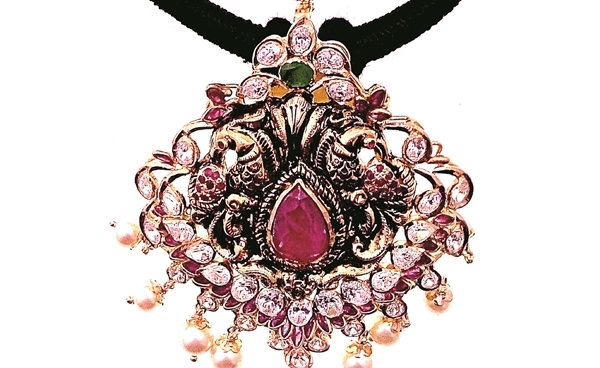 The Temple Locket set in 22k gold with CZ stones is a new look at the popular traditional category. Announcing the launch, Sanjay Gulabani, Managing Director, P Mangatram Jewellers, says, “With the rising prices of gold, customers are concentrating on the designs which are more contemporary. The collection is a tribute to our growing innovation in producing world-class studded jewellery at competitive prices, signaling evolution in jewellery industry.a�? The store has created a beautiful fusion of luxurious jewellery that goes with whatever you may be wearing. 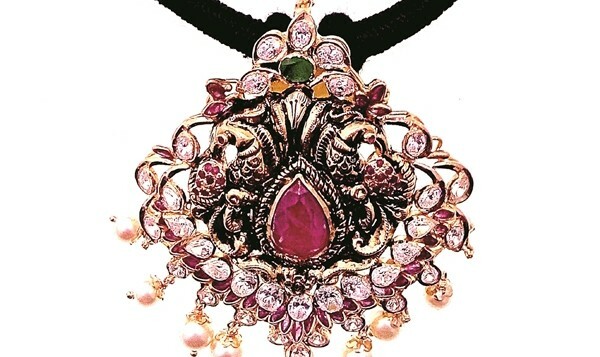 The company has been on the preferred list of manufacturers for the top retailing jewellery.